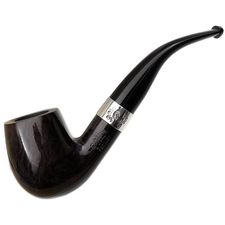 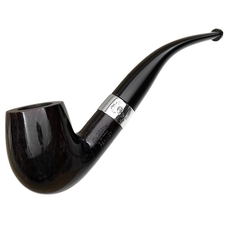 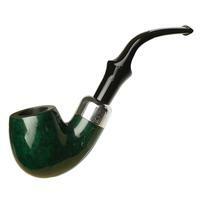 Heavy proportions lent to the shank and heel put Peterson's "X220" bent Billiard right in line with the Irish marque's bold aesthetic. 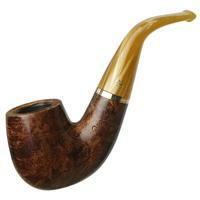 It's even more eye-catching wearing the smoky stain and bright, golden stem of the Kerry series, accented by refined bands of nickel and brass. 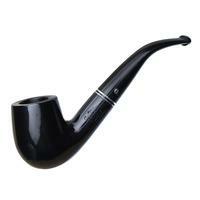 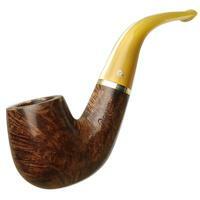 Bowl Height: 1.95 in./49.50 mm. 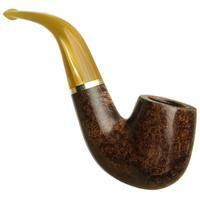 Chamber Depth: 1.41 in./35.77 mm.